How often do you add new investment properties in Fort Worth and surrounding cities to the site and VIP Buyers List? What is the source of your properties on your site? A: You’ll find investment properties on this site discounted 20-50% because of our proprietary marketing systems that get in touch with homeowners who are needing to sell their property. Often times they may be in foreclosure and our company can help them out by buying their house quickly for cash… which is a win-win. Then, we pass the discount along to you. A: Most properties you’ll find on our site are ones that you’ll never find on the MLS. The MLS is the “Multiple Listing Service” which is where real estate agents list properties for sale. 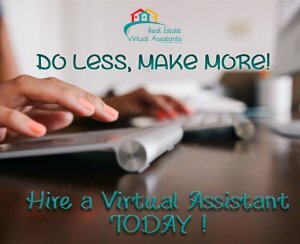 We work directly with the homeowners because many times we’re able to help them solve their problem more quickly and cheaper than listing it on the MLS. Q: How often do you add new investment properties in Fort Worth and surrounding cities to the site and VIP Buyers List? A: We don’t charge homeowners any fees to help them find a solution. We purchase properties at win-win prices. When you buy an investment property from us, we buy the property at a steep discount, add on our property acquisition fee which is our profit for finding and negotiating the deal… and you pay a still deeply discounted price. A win-win for all. Q: What is the source of your properties on your site? A: We purchase properties from tired landlords, distressed property, distressed sellers, investment property in Dallas Fort Worth and ugly vacant houses, etc..